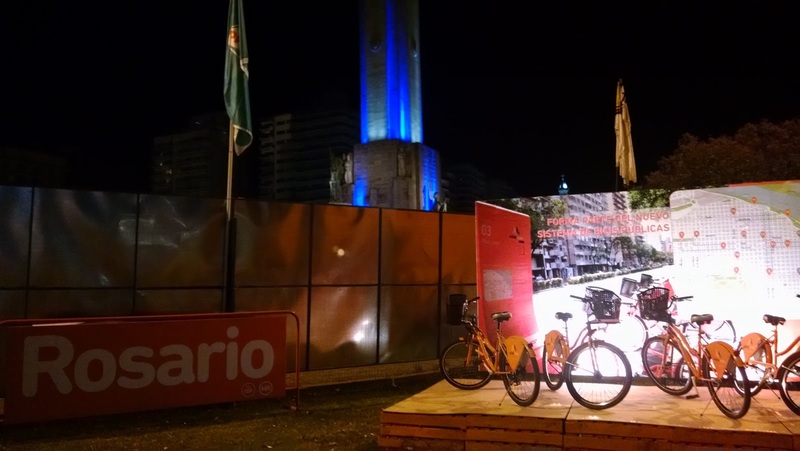 In 2002 the port-city of Rosario, Argentina’s 3rd largest municipality, was experiencing heavy growth and a bevy of deficits, not the least of which pertained to civic engagement. Amidst economic growing pains, with an eye towards the future and sustainable practices, the city’s core leadership decided to embark upon an experimental path to engage its citizenry and create a more robust network of citizen-lead, city-supported projects. 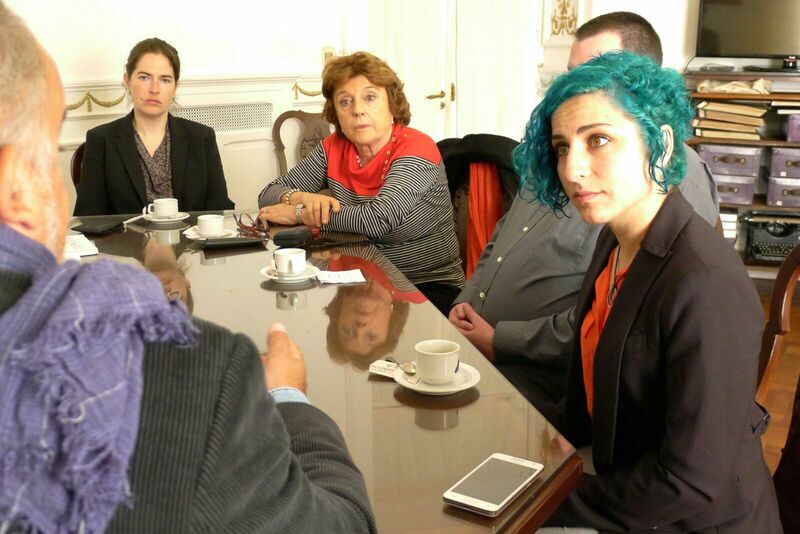 Portland State Study Abroad students meeting with local legislator Carlos Comi to discuss city projects like Presupuesto Participativo. Not unlike the birth and growth of Portland’s Office of Neighborhood Involvement in 1976, Rosario sought to dismantle existing barriers to services and programs through physical decentralization of power. Their first step was to divide the city itself into six distinct neighborhoods - barrios - creating a network of offices centered in each area that provided services to neighbors within that district akin to those provided by our own Department of Human Services, Department of Motor Vehicles and various Neighborhood Coalitions. Relishing the opportunity to talk about city planning and the place of the participatory budget with policy-maker Carlos Comi (left, with scarf) and Portland State's own Political Science professor, Dr. Melody Valdini (far end of table). What happened next was the birth of a model that cities like Portland can take note from. 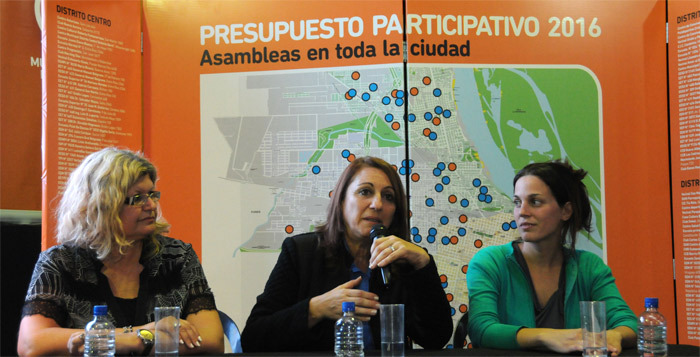 Rosario set about joining in the South American trend of participatory budgets at the municipal level, an endeavor that has seen great accomplishments and expansion for over a decade. Presupuesto Participativo, (literally, “Participatory Budget”), began as a pilot project in 2002 and has since extended to several municipalities and states throughout Argentina. The nuts and bolts of the program are straightforward and pragmatic, but the goals of the project extend beyond increasing citizen participation in a strictly monetary sense to loftier echelons of combating corruption, increasing government transparency, cultivating early education about best community practices and creating a more vibrant, interconnected city, responsive to the needs of its citizenry. 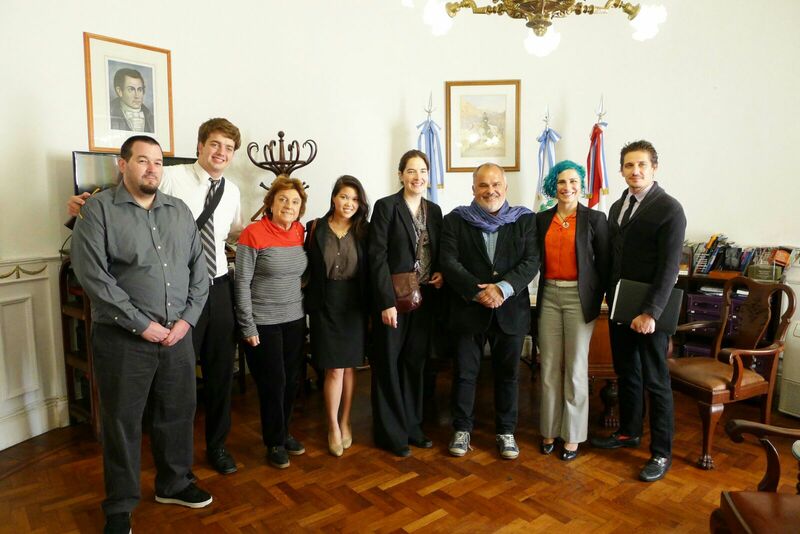 Essentially, Rosario allocates a substantial amount of its budget each year to a special fund for the program, which is then divided into equal amounts for each of its six neighborhoods. In its first phase each year, citizens propose projects for improvement within their district. The proposals often run the gamut from the creation or improvement of parks and public spaces to special after-school programs or educational services. Readers of my previous First Stop blog post may remember the organic huerterito, or little farm, that I visited as part of a tour of Rosario’s sustainability projects. That huerterito is one manifestation of the Presupuesto Participativo and was born of that neighborhood’s election to support low-income families and individuals start their own small businesses with the city’s support through funding, education and guidance. It has been a deliciously huge success. In some cases the proposals include projects that should ostensibly already be provided by the municipal government, like street repair. However, in Argentina, municipalities are not immune from the corruption and clientelism that plagues politics at large and some districts within the city often receive more attention than others when it comes to basic services. As a result, the participatory budgeting model functions as a further check on the city to alert those in charge of governing allocations to which districts might be in need of more attention or to where funds may have been inappropriately diverted from such projects in the first place. 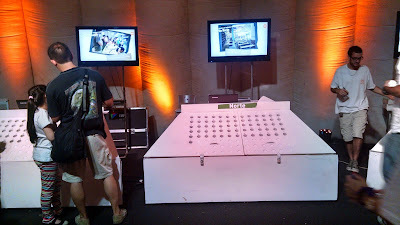 During polling weeks, temporary public spaces are erected to house voting areas like the one featured above. 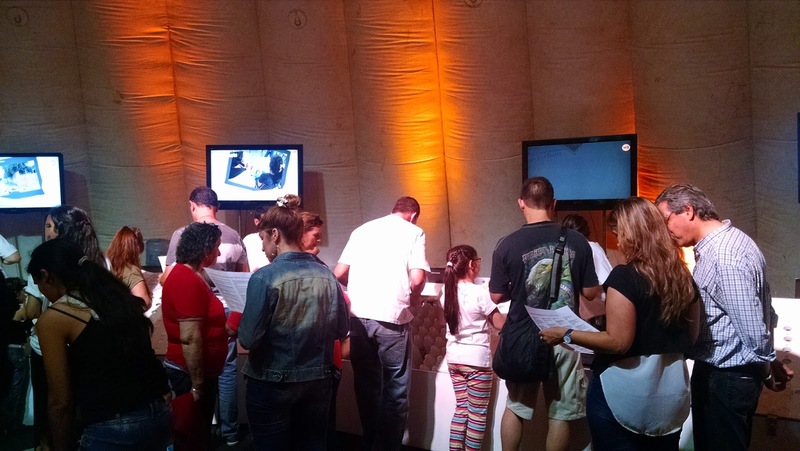 Residents of the Norte (North) neighborhood cast their votes on secret ballots after watching videos detailing the proposed projects, or interacting with one of the many Presupuesto Participativo representatives. During the second phase of each fiscal year, neighbors spend a few weeks learning about the proposed projects for their barrio through public campaigns, both in-person and online. Voting is held in the same two fashions and, by the end of the quarter, projects are chosen based on popular vote, to be implemented in the following fiscal year. This part of the process connects city bureaucrats to the citizenry at the voting events and through educational campaigns. It also extends the educational component by exposing citizens to the intricacies of city-planning and budgeting, leading to a better-informed and, in many cases, more patient citizenry. Neighbors then elect point-people for each selected project who serve as representatives of their neighborhood and receive guidance and resources from the city to aid in seeing the projects through to completion. Citizens attending Rosario's Annual Intercultural Fair were able to stop in at the Presupuesto Participativo inflatable tent, learn about the year's projects proposed for their neighborhood and cast their vote. 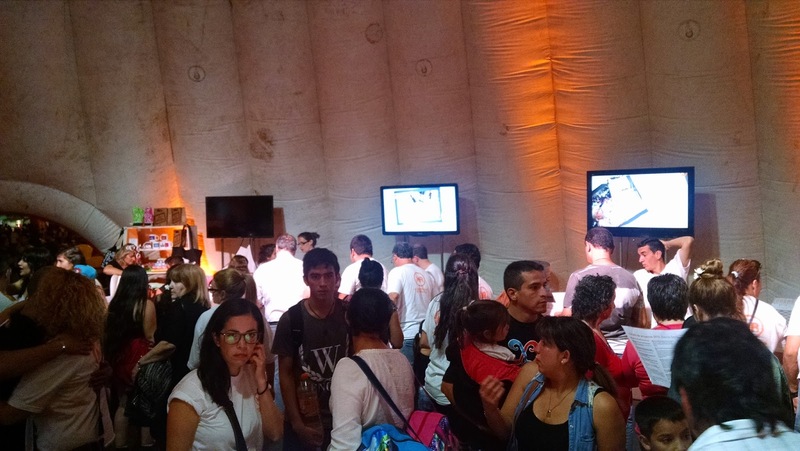 Since its inception 13 years ago, participation in Rosario’s inclusive budgeting project has increased exponentially, with about 10% of its roughly 900,000 citizens contributing to the process last year. In 2009 the endeavor expanded to include a separate experience for younger citizens, to further expose Rosario’s youth to the participatory process. 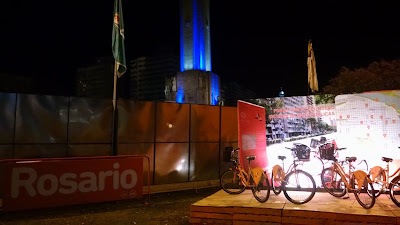 While the nearly $10 million budget afforded the program pales in comparison to that of larger city’s like Brazil’s Porto Alegre (which pioneered city-wide participatory budgets in 1989) or New York City (the U.S.’ largest participatory budget), its successes have allowed the city to increase funding steadily with each passing year. Rosarians consistently report increasing satisfaction with the program, too, as each year the processes become more fine-tuned and projects benefit from greater efficiency in implementation and positive results for the communities in which they are housed. 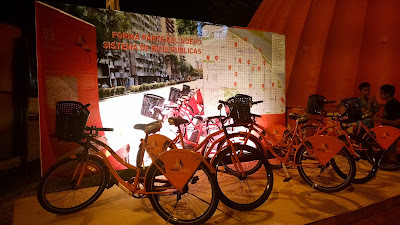 One highly successful project born from a session of Rosario's participatory budget is the city's bike sharing program, highlighted here near the information and voting tent. At First Stop Portland we focus on the exchange of knowledge between cities the world over. Part of the reason we are able to look beyond our own city limits and extend our wisdom is due to the robust civic participation that has paved the path to our present. Oregon, and specifically Portland, have constantly ranked amongst the highest levels of civic participation within the United States, and Portlanders are known for their vocal and sustained participation in city projects and affairs. As our city faces its own influx of inhabitants, however, we may soon need to build upon our foundation of inclusion and experiment in new ways to address neighborhood concerns and promote civic engagement. Considering the successes of participatory budgets the world over, it may behoove Portland to soon include its citizens in its budgeting processes and, by doing so, add new depth to our legacy as a city of bridges, across rivers, between communities and towards innovation.